There's something special about Montreal when it gets perfect summer weather. You know the evening will end up being dreamy and it's time to make plans for cocktails and bites somewhere out in the sun! 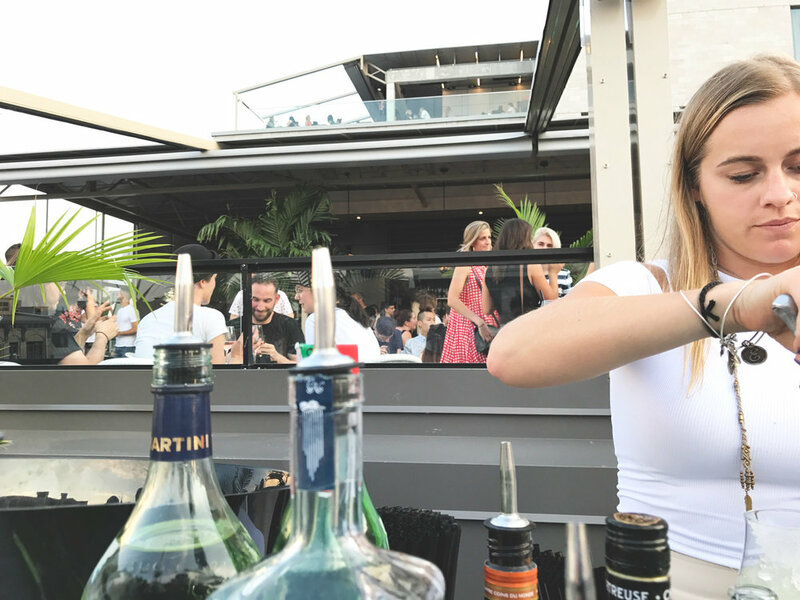 The problem is that whenever I try to think of the perfect location that serves solid cocktails, food and actually has enough space to not wait for a table endlessly I either come up short or end up regretting my evening at the chosen terrace. Terraces tend to offer very unhealthy menus that indeed go well with alcohol but not the regreto the next day. Perché serves what you would find in California with a solid selection that includes Poke bowls, tacos, ceviche, gaspacho, salads and more. Alcohol wise, they created 7 cocktails to inspire you on top of having a full bar. I loved the Margaux H. but was a little bit disappointed by the Michelada which tasted more like a Bloody Ceasar -- they need to add much more beer for the fizzy kick! The view cannot get any better than that even if they tried. Perché gets a direct outlook on the Place Jacques-Cartier (if you're lucky, there won't be a horrible live show from the #mtl375) and the brand new ferris wheel minutes away from Terrasses Bonsecours. I am not 100% sure but I feel like this might be a great location for firework nights too! Perché is open daily from 4PM to 11PM. Check out the full menu and what's happening here.